Have a spare 2 minutes? 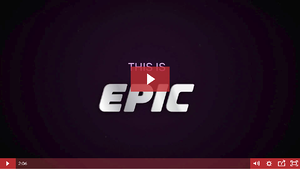 Spend them watching the new groov EPIC video, You'll get a quick tour of the system and answers to your questions about product specifications and features. Edge: Collect, process, view, and exchange data where it's produced—at the edge of the network. Programmable: Options for programming include flowchart-based PAC Control™and future support for IEC-61131. Optional shell access lets you run your own custom-developed application on an open, Linux®-based automation system. Industrial: From plant floors to remote sites, the edge demands industrially hardened equipment—like solid-state drives, UL Hazardous Locations approval, and ATEX compliance. Controller: Reliable real-time control and guaranteed-for-life I/O provide the solid base for all other functions. This EPIC video is a great tool to share with your engineering team, management, or customers for a quick demo of this ideal solution for future automation and IIoT projects. Email systemseng@opto22.com or contact our groov EPIC engineers.